Choosing a Dublin Plumber for all your plumbing Services. Take control of costs with up-front pricing; All plumbing work guaranteed! At Dublin Plumbers, we confirm the exact price for all plumbing jobs before work begins. With other companies providing time & material pricing, you never actually know the full price until all of the works are 100% complete. We are different; we value our customers and offer complete price transparency with up-front pricing for all of our jobs – emergency and standard plumbing jobs. This puts our client firmly in control of plumbing costs with a guaranteed price before we start work. We never ask for money in advance. We only require payment when the job is finished and the client is completely satisfied. About your local Dublin Plumber. Since 1987 we has been completing plumbing jobs for all types of clients throughout Dublin. This includes residential, commercial, and industrial customers 24 hours a day, 7 days a week. We also specialize in all types of construction projects and plumbing additions. We pride ourselves in knowing that we are providing our clients with fair and transparent rates and experienced plumbing technicians who are capable of handling all stages of plumbing including: new construction, additions, irrigation service & installation, septic installation & service, gas lines, and many more plumbing services. We only employ fully qualified plumbers who are R.G.I. registered. All our staff are vetted thoroughly prior to employment and are up to date with current health and safety legislation. This ensures that we can provide the highest quality best value for money plumbing services in Dublin. Gas Line Installation and Service. 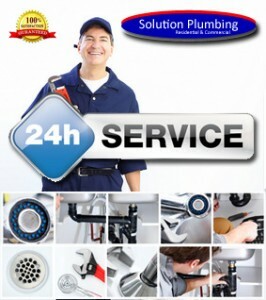 Standard & Domestic Plumbing Services. Water Heater Sales and Service.